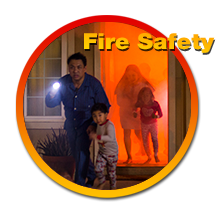 Every year there are thousands of injuries and deaths due to preventable fires. As part of its mission to educate underserved communities in California, the California Fire Foundation has developed an award-winning program targeting fire safety messaging in these communities: Firefighters on Your Side. California is at the center of an explosion in wildfires.The devastation created in communities affected can be devastating and language barriers have been shown to increase the likelihood of fire-related injuries and death. The California Fire Foundation has created a new campaign — Prepare For Wildfire — to bring critical wildfire preparedness tools into the hands of those in communities at risk, in partnership with Pacific Gas and Electric and Edison International. Through the innovative Firefighters on Your Side program, firefighters themselves provide critical fire safety tips in Spanish, Vietnamese, Chinese and Tagalog, as well as in English. The program also targets California’s senior population with disaster preparedness information. 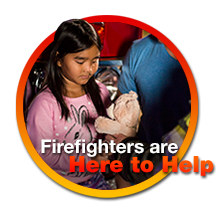 The California Fire Foundation produces public service campaigns on new topics and languages with the simple goal to enhance safety throughout your community, every day.